Kirsten Hughes, chairwoman of the Massachusetts Republican Party. 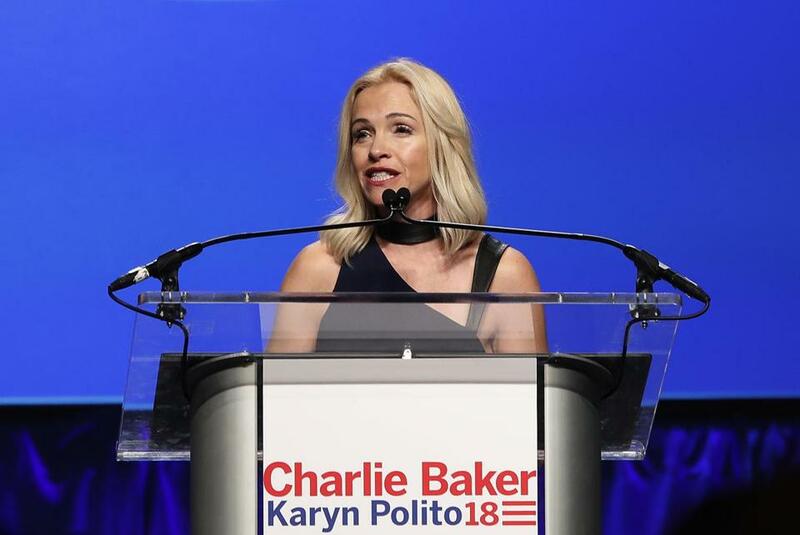 Kirsten Hughes, who led the Massachusetts Republican Party for six years as it recaptured the corner office but realized few gains in the Legislature, will not seek reelection to its top post, opening a competition that could swing the state’s GOP leadership to the right. Three potential candidates have begun sending e-mails and calling state committee members since Hughes signaled she would not seek a fourth two-year term. And at least one other possible contender, an outgoing state representative, said he’s weighing a bid ahead of the party’s state committee meeting in January, when it will elect its next leader. “It’s really important that we make sure, whoever the next chairman is, they keep their eye on 2020,” Hughes, 41, said in a phone interview. With Governor Charlie Baker’s victory in 2014 and reelection this month, the party reestablished a foothold in the State House during Hughes’s tenure. But it has struggled to chip away at the Democrats’ legislative supermajority. Republicans lost three state House seats on Nov. 6 — a blow, especially since the GOP usually fares better in midterm elections. The party will hold 32 seats in the Massachusetts House in January, just three more than they had before the 2014 elections. Republicans hold no statewide offices except for the governorship and lieutenant governorship, and no GOP candidate has been elected to the US House of Representatives since the 1990s. Hughes, a Quincy city councilor first elected chair in 2013, said Wednesday that she was proud of the infrastructure the party built under her watch, in particular its MassVictory program, the grass-roots arm of the party, and its fund-raising apparatus, the Massachusetts Victory Committee, a controversial joint effort between the state and national parties established in 2013. In an e-mail to state committee members, she said the party has spent nearly $3.5 million in coordinated campaign expenditures and operated 75 field offices since 2013. The scrambling to replace Hughes started soon after she sent her Nov. 16 note, opening a potentially heated debate over the direction of the state party. Brent J. Andersen, who has served on the state committee since 2000 and as party treasurer since 2003, said he’ll seek the seat. He is seen by some as a candidate from the party’s establishment wing. The 40-year-old Auburn Republican backed Ohio Governor John Kasich in the 2016 presidential election, though he ultimately voted for President Trump. He supported John Kingston, a Winchester businessman, over the more conservative Geoff Diehl in the US Senate GOP primary this year. “I’m looking forward to the campaign ahead and to discuss my plan to unite Republicans under Ronald Reagan’s big tent,” Andersen wrote in an e-mail. Diehl, the state representative and Trump supporter who lost to Democratic US Senator Elizabeth Warren this fall, has said he’s also weighing a run. The conservative Whitman Republican veers from Baker’s more moderate ideology: Diehl has called himself “pro-life” and opposed the transgender antidiscrimination law Baker signed, which created an awkward dynamic for Baker’s own reelection efforts when they shared the ticket. But Diehl drew support among the party’s more conservative members, who are eager to have a louder voice. State Representative Peter J. Durant has e-mailed members of the 80-person state committee to declare his candidacy and the need to “build a better party.” The Spencer Republican cited the election database he said he created. He said it has been used by more than 40 candidates and sitting lawmakers to identify voters. Representative James J. Lyons, an Andover Republican who lost his reelection bid this month, said he’s also considering a run. It’s unclear whether Baker will directly involve himself in the race. He has shown little appetite for delving into state party politics since pushing a slate of preferred state committee candidates in 2016. Hughes said she has not been asked by anyone to endorse them in the race, and declined to comment directly on Diehl or Durant as candidates. But she spoke highly of Andersen. “I feel comfortable and confident that Brent understands the importance of fund-raising and making sure those funds are spent in an appropriate way,” she said.